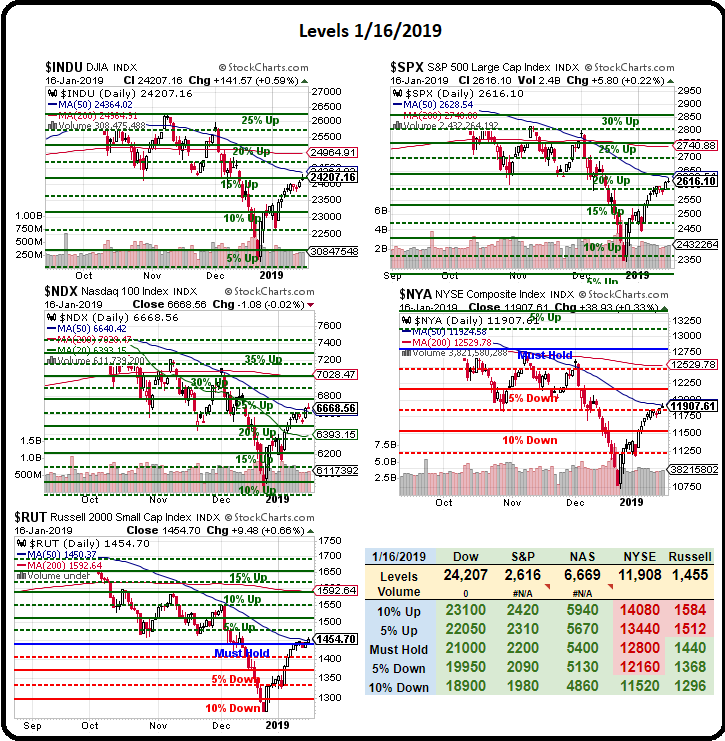 To say that we are at a critical inflection point in the market would be a huge understatement and, as I noted in Tuesday morning's PSW Report, we took precautions against a downturn by adding hedges to our Short-Term Portfolio in Monday's Live Member Chat Room – just in case things spiral further out of control. On the whole though, we're still a bit optimistic, though we are looking to cash out some longs today – so we will have less to hedge against, which, in turn, makes our existing hedges more powerful (as they will be hedging a smaller amount of longs). It's going to be easier to have a positive event – like ending the shut-down or agreeing with China or a Brexit Deal – than it is likely to have an event even more negative than the damage we're causing to ourselves (maybe that strange asteriod is an alien invasion?). Meanwhile, our current economic momentum is down so SOMETHING needs to change or things will really start falling apart. Both the US and China are suffering from Trump's idiocy and the US is also suffering from Trump's other idiocy but the UK has their own team of idiots that are ruining their economy with a little help from the idiots in the EU, who seem to flip-flop between dancing on England's grave and worrying that an unscripted Brexit will also be the beginning of the end for their Union as well.